Well a little bird told me.. (thats quite clever) that Destynee was out shopping in Inworldz. She was out looking for a pair of shoes. So I felt a strong urge to pay this Queen of Social Media a little visit. 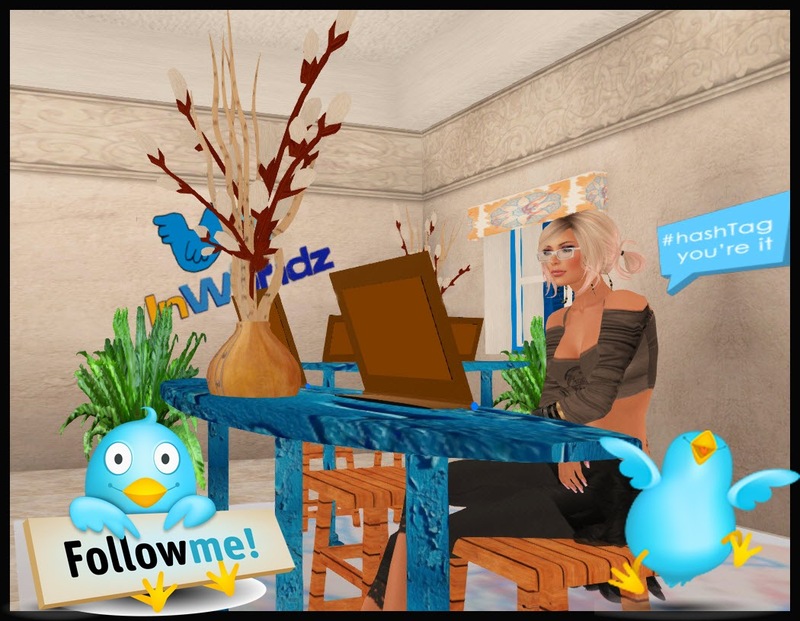 After rifling around her office I decided to sit down and compose a tweet.... #Inworldz the only Tweet you really need.